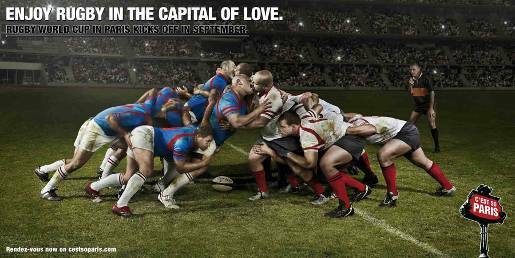 Paris Ile-de-France, the French regional tourism committee, is promoting Paris as the venue in which rugby and love come together with a controversial print campaign featuring kissing rugby union players. With the Rugby Union World Cup coming to France in September, the locals are gearing up to demonstrate their capacity for humour. The campaign, online at C’est So Paris (www.cestsoparis.com), shows front row members of a scrum locking lips. 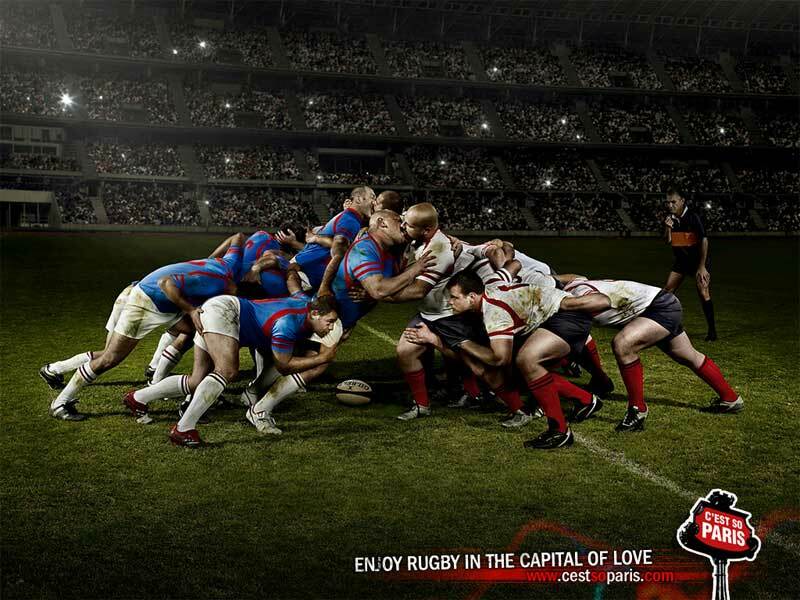 The text: “Enjoy rugby in the capital of love”. Other members of the scrum have their hands placed in what could be taken to be amorous positions. The C’est So Paris campaign, begun in December 2006, is being developed by BDDP & Fils, Paris, by creative directors Guillaume Chifflot and Manoëlle Van Der Vaeren, art director Antoine Mathon, copywriter François Faure, and photographer Cedric Delsaux.